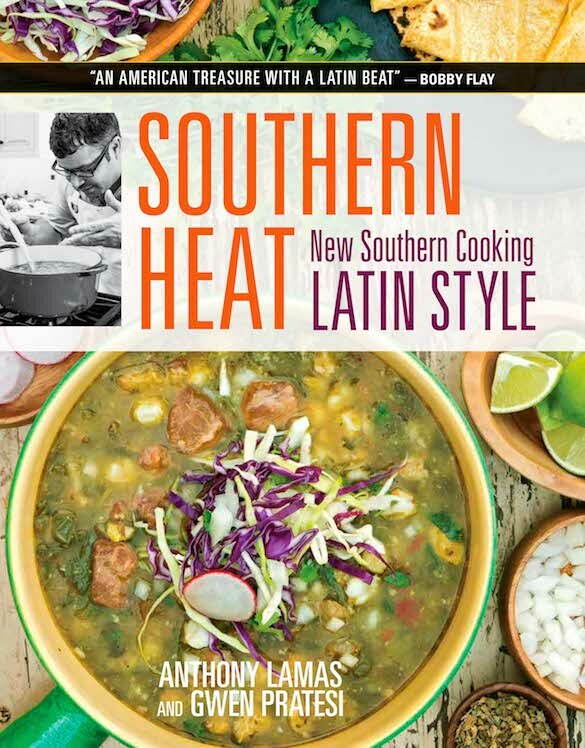 I am excited to be able to share the very first look into our cookbook collaboration with Chef Anthony Lamas of Seviche, A Latin Restaurant, in Louisville, Kentucky, Southern Heat – New Southern Cooking, Latin Style. The book will be published this fall by The Taunton Press. As many of you know, we have all put our hearts and souls into this project for several years and it’s so rewarding to see all of our efforts coming together and alive on these pages. The attached “Blad” (Book Layout and Design) is a brief look at the book concept with some sample images and recipes. It is an early glimpse at the book and not edited. The Blad is used for promotional purposes prior to finishing the actual manuscript. Southern Heat will be available soon for preorders and we will be setting up a page on this site and have a separate website for the book. 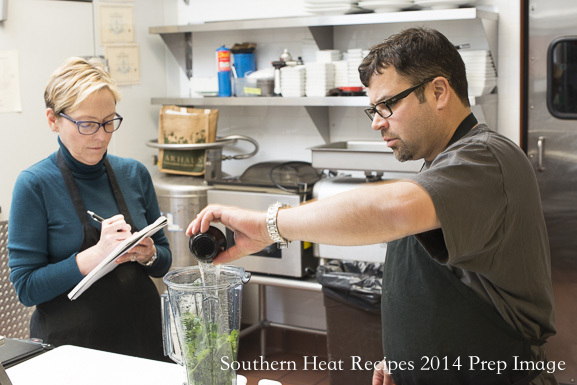 I hope you will continue to follow our journey with Southern Heat and we look forward to seeing you at our book signing events in the not too distant future! For an early look at the inside of the book, please turn the pages below. We’ll be posting updates the closer we get to the book’s release this fall, so stay tuned! Congratulations to Gwen, Roger and Anthony! I can’t wait to order my copy! You were there when we first met Anthony for our culinary tour. 🙂 That seems like forever ago now. I’m sure there will be lots of your favorites in the book. So excited for you. What an accomplishment! Thanks so much, Jo Ellen. We’ll be hosting several book signings in Atlanta, so I’ll keep you updated! You, Roger, and Anthony can be very proud of your long, hardworking project. this fine approach to cooking. Your spark will light a fire.. Anthony is going to be in fine shape to develop even more surprises for us in years to come. Good job and good luck to all.